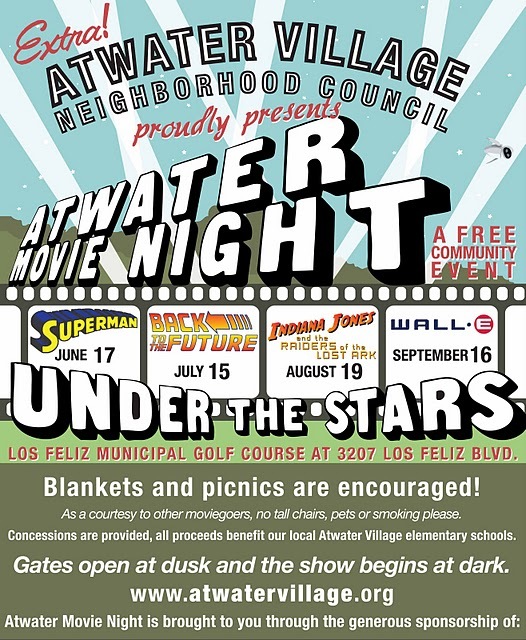 Don't miss out on the last two Atwater Movie Night Under the Stars free community events this summer at Los Feliz Municipal Golf Course, presented by the Atwater Village Neighborhood Council! "Raiders of the Lost Ark" will be shown on August 19, and WALL-E will be shown on September 16. Gates open at dusk, and the show begins at dark. Blankets and picnics are encouraged. Concessions will be available, with all proceeds going to benefit local Atwater Village elementary schools. Please, no pets or smoking. 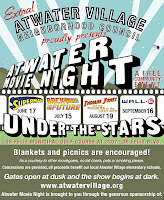 For more information, please visit http://www.atwatervillage.org/.